MTHFR is the gene’s official symbol. The B vitamin Folic Acid has been touted as the most important vitamin for the proper development of a baby in pregnancy. This is especially true for the first few weeks of pregnancy, when the spinal column is developing. Research shows that folic acid plays a critical role in preventing the neural tube defect, spina bifida. It is considered so important, that the March of Dimes has an entire campaign focused on educating the public about the importance of women in their childbearing years, getting the right amount of this vitamin daily. What if your body has a genetic defect that makes it extremely difficult for your body to utilize folic acid properly, though? And how would you even know? For 1 in 4 people this is a serious reality and if left undiagnosed, may lead to a variety of pregnancy related issues including difficulties conceiving, unexplained infertility, elevated homocysteine levels, recurrent miscarriages, child with Down Syndrome, development of Autism, preeclampsia, postpartum depression, or even the development of chronic depression. Eat a diet rich in naturally occurring folate, such as uncooked dark leafy green vegetables, lentils, beans, liver, and avocado. Consider supplementing with carnitine, CoQ10 Ubiquinol, cod liver oil, probiotics and an antioxidant blend. Avoid antacids, these inhibit folic acid absorption as well. According to Dr. Ben Lynch, an expert on MTHFR gene mutation, it is best to avoid birth control use, as this can block folate absorption. Find a good OB/Gyn or midwife to work with that is well educated in MTHFR gene mutation if you plan on getting pregnant. 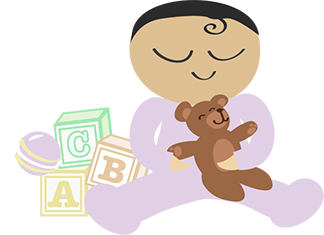 This will help you to maintain the continued support you need through pregnancy and lactation. “The A1298C gene variant is found in the MTHFR gene. This gene produces an enzyme that is important in the metabolism of homocysteine, an amino acid. We all have two copies of the MTHFR gene, one from each parent. People with two copies of the A1289C gene variant are referred to as homozygous. Having two variants/mutations, such as A1298C, can cause elevated homocysteine levels. 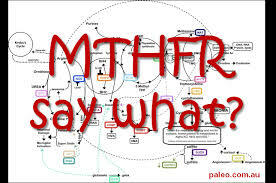 MTHFR deficiency, in the presence of elevated homocysteine levels, has been associated with a variety of health issues including an increased risk for venous thromboembolism (the formation of a blood clot in a vein), early onset cardiovascular disease, and adverse pregnancy outcome including fetal growth restriction, preeclampsia, miscarriage and placental abruption. However, these risks may not be increased in the presence of normal homocysteine levels. A blood test can be performed that measures plasma homocysteine levels. This entry was posted in Health, Infertility and tagged Black Women, Infertility, MTHFR, Single Mother By Choice. Bookmark the permalink.